Not going to lie, I’m a hotel snob. I like plush bedding, a spacious bathroom, and good breakfast options. Imagine my surprise when I found this all at a boutique hotel in small-town Ohio? Yes, it’s true. 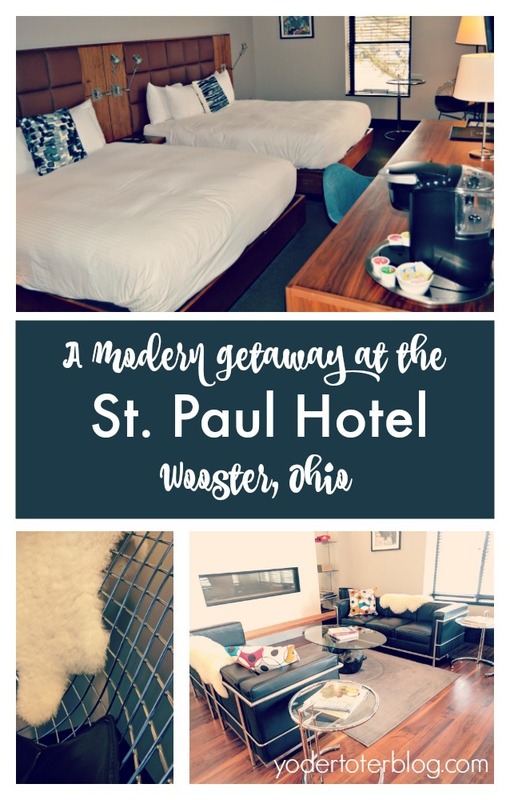 The St. Paul Hotel in Wooster, Ohio is sure to please even the snobbiest of travelers (cough, cough, me)! The St. Paul Hotel is located in the center of Wooster, just two blocks from the square. There are numerous dining and coffee options within a very short walk. 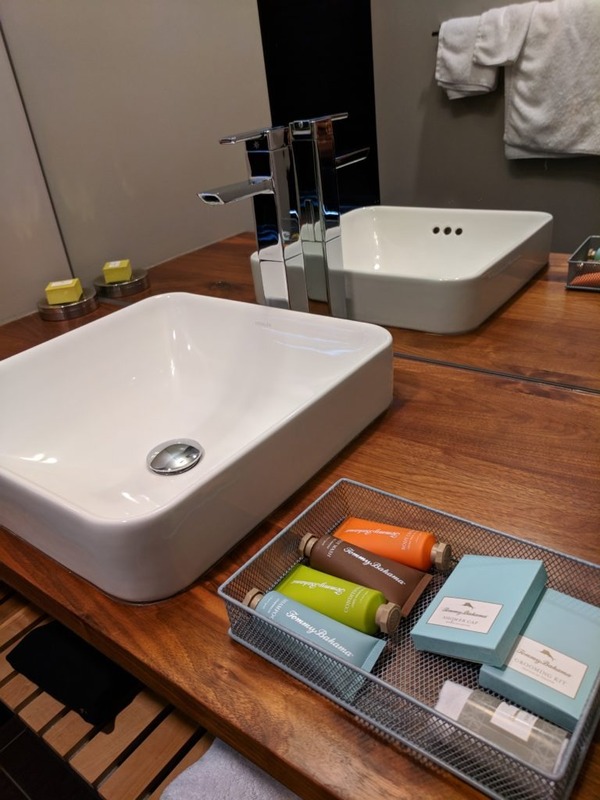 If you’re looking for modern conveniences, the St. Paul Hotel offers in-room Wi-Fi, heated bathroom floor tiles (ohmygoodness, heavenly), and a rainwater shower plus a hand-held shower wand! I appreciated that my corner room also had numerous windows and a Keurig coffeemaker . The amenities kit was Tommy Bahama products. What impressed me the most was the history of this hotel. The St. Paul Hotel has been rebirthed from its former life! From the early 1900s-1970s, the building did operate as a hotel, but it had a questionable past as a place of basement betting and card games. Little history is known about those early years as a hotel- although there would have only been one guest bathroom per floor. In the 1970s, the hotel was purchased by a non-profit group and turned into a subsidized housing, which was used until 2008. 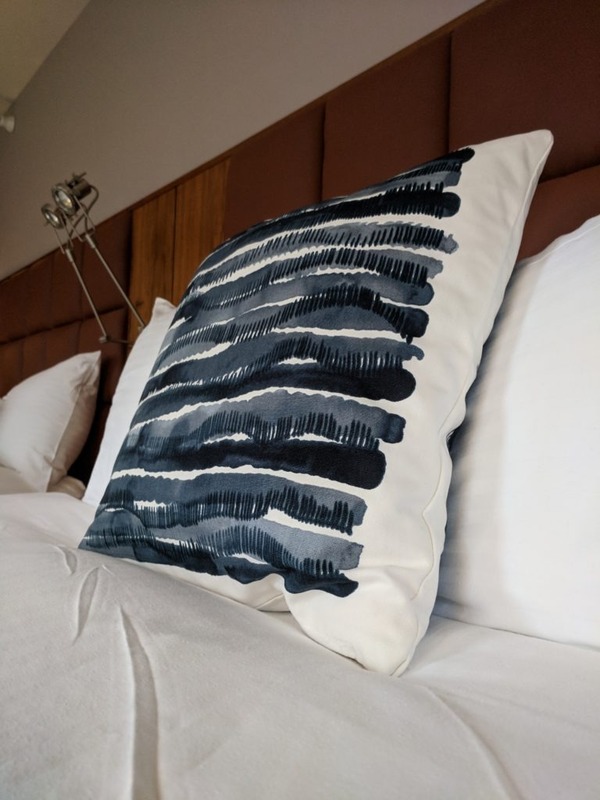 At that time, the non-profit went out of business and a local developer came up with the idea for a boutique hotel. While the building sustained an entire “gut job,” the interior brick walls were saved for the trendy exposed brick feature. Dressers, beds, and desks were made by a company in Orrville, Ohio. Each shower is enclosed with tempered glass made by the Wooster Glass Company. 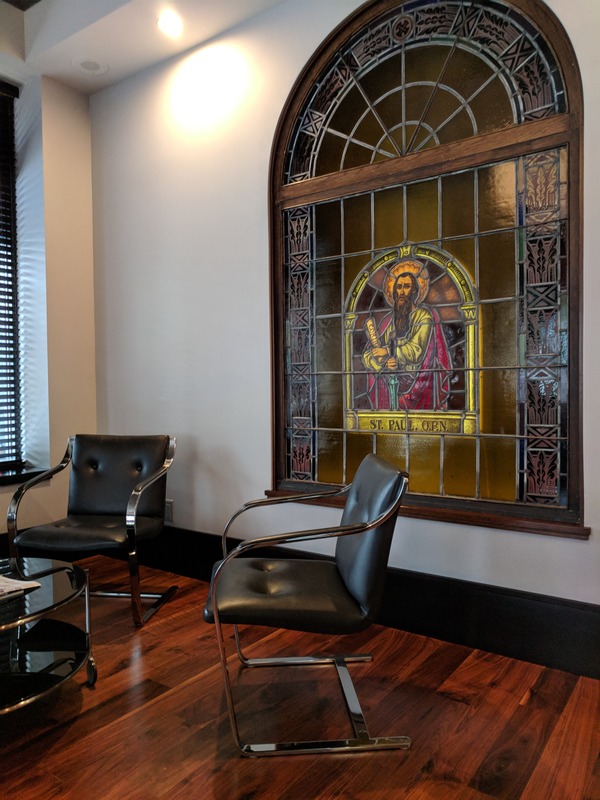 My favorite piece of the interior may be this piece of stained glassed located in the hotel lobby. The St. Paul O.P.N. glass was found at a Wooster antique store. The hotel seems to fully encompass the ingenuity and history of the community – something I really enjoyed! The St Paul Hotel is the only property to service the downtown Wooster area. Parking is free and getting around the small city by foot or car is very easy. Wooster is located less than 30 minutes to Ohio’s Amish Country and close to attractions like Secrest Arboretum and the J.M. Smucker company store. 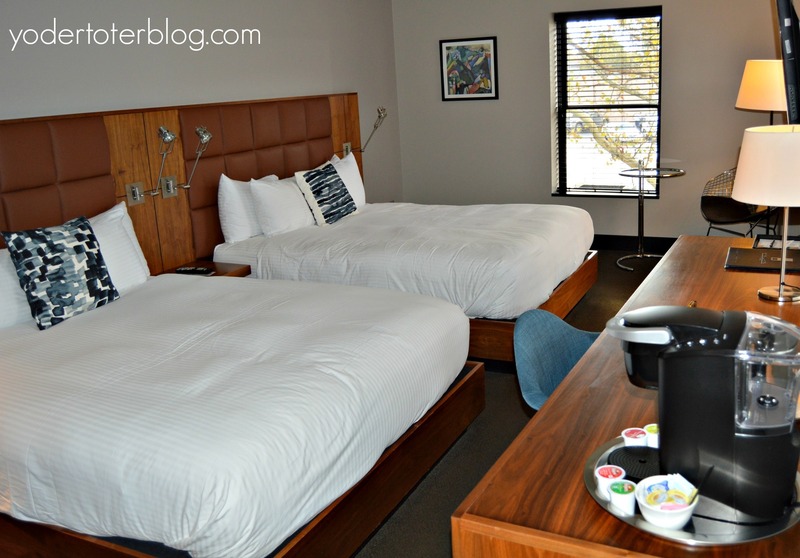 I would recommend the St. Paul Hotel for a romantic getaway or a birthday celebration. The hotel would also work for family travel but do note that the rooms do not have bathtubs. Check rates now. For more on downtown Wooster, see my post HERE. Have you visited Wooster, Ohio? Where did you stay?